Earlier listed on website, Micromax has just launched an entry level smartphone Canvas Spark 3 Q385 priced at Rs. 4999. The phone will be available to purchase online on Snapdeal via flash sale. The sale will start on 7th April 2016 and registration from 1st April. This new device features a 5.5-inch HD IPS display with a 720 x 1280 pixel resolution. 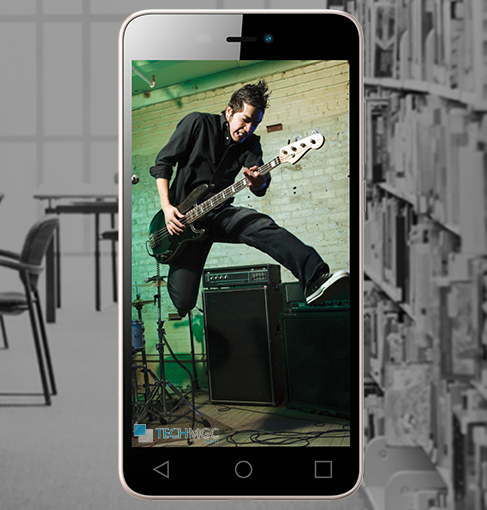 It is powered by a 1.3GHz quad-core processor along with 1GB RAM. Running Android 5.1 Lollipop out-of-the-box, the device includes an internal storage of 8GB which can be further expanded up to 32GB via a microSD card. On the camera front, the smartphone features an 8MP rear camera and 5MP front facing camera for your selfies. Connectivity features include 3G, Wi-Fi, Bluetooth, GPS and microUSB. Yes, you don’t have 4G connectivity here. This phone gets its power from 2500mAh battery. As said, device is an entry level smartphone but not including 4G is surprising as now almost all rivals in market are launching 4G enabled phone even the entry level market. Micromax is eying 40% growth in sales for this financial year. As per Micromax Chief Marketing Officer Shubhajit Sen, “Offline sales will grow 30-35 per cent, while online sales will grow 50-70 per cent. This should give us a blended growth rate of about 40 per cent for 2016-17”. The launch of Convas Spark 3 is part of deal where company had partnered with Snapdeal and Flipkart last year to launch exclusive handsets under the Canvas range and increase online sales. Online sales are makes now integral part of business as currently out of every 3 handset sold in country, one comes from online sale.